When you listen to Mark Ballard talk about his premiere line of brownies and blondies, you can’t help but think these treats are not just special but way-out-of-the-ordinary special. When Mark (’84 family services; MS ’86 professional studies in education) and his partner, Tom Finney, started their own business in 2005, they knew they had to do it better than anyone else. “Nobody had done brownies and blondies in a great way,” Mark explains. So he and Tom did research: Who makes the best brownies? “We ate brownies from New York to San Francisco,” he says. The result was Sugardaddy’s Sumptuous Sweeties, a brownie and blondie boutique bakery in Columbus, Ohio. Mark, co-founder and co-CEO of the company, said they focused on creating a “premium product with premium packaging, promotion, and people.” Each batch of “blondes and brunettes” is made by hand by an executive chef and his assistants, using top-quality ingredients including eggs and butter from a local farm. The treats are cut into three-inch rounds and sold in stores or shipped fresh “door to door in 24.” Flavors include campfire s’mores, chai spiced, cinnamon, rich mint, caramel, peanut butter, cherry almond, and more. Sugardaddy’s has been featured by more than 50 national media outlets, including the Food Network, Today Show, Ellen, InStyle, Midwest Living, and the Washington Post. But Mark says it was the winning “Throwdown! with Bobby Flay” appearance on the Food Network that gained the company the most attention and made the Tahiti Blonde Sweetie a national superstar. “At first, it was easier to get national endorsements than local ones,” Mark said. 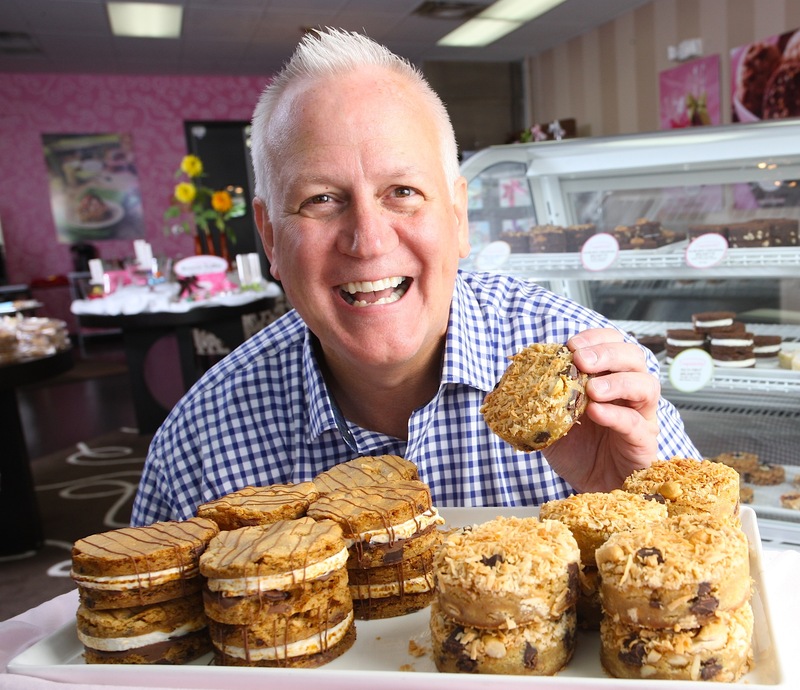 But that’s changed, and now Sugardaddy’s has been named a “best local treat” and has expanded to three stores in Columbus. Note: After 10 years as owner of Sugardaddy’s Sumptuous Sweeties, Mark Ballard announced in late 2013 that he and his partner had sold the Sugardaddy’s brand and business to a couple in Columbus, Ohio. Dr. Douglas McKeag’s interest in both medicine and athletics led him down a career path that didn’t exist. After initially attending Iowa State for veterinary medicine, Doug switched his major to zoology and also became head swim coach for the Ames YMCA. He always enjoyed sports – he played basketball for Iowa State during his freshman year – and was interested in physiology and biology, so he says it just made sense to go into sports medicine. How Doug became one of the founding fathers of primary care sports medicine is the story of a visionary pathfinder. After receiving his medical degree in 1973 from Michigan State University, he took the “gutsy step” of asking the athletics director there if he needed any help with his athletes. Doug soon found himself teaching, seeing patients, and conducting research during the day and at 5 o’clock going to the training room and, with the help of another young physician, caring for 734 athletes in 24 sports. “It was a fascinating experience,” he says. 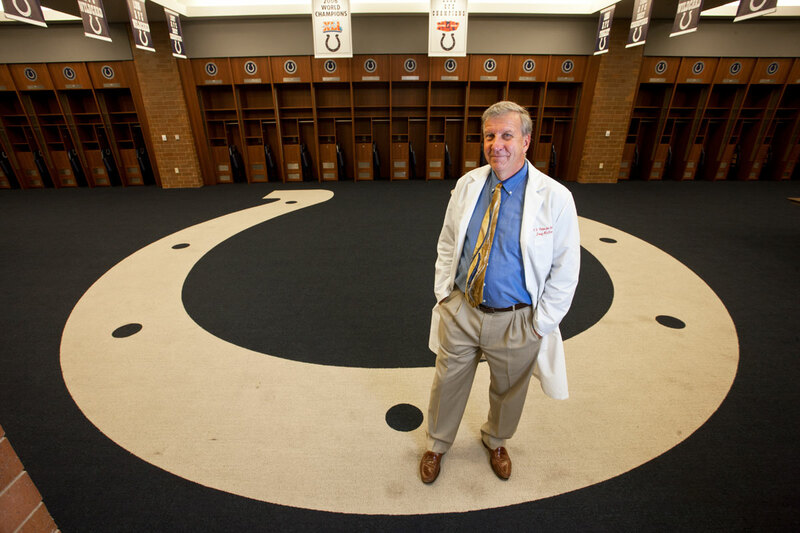 Doug served as head team physician for Michigan State and later a consulting team physician for the University of Pittsburgh as well as the Pittsburgh Steelers and Indianapolis Colts professional football teams. He has authored three books and speaks nationally and internationally on exercise and sport. He’s currently a professor emeritus and former chair of the Department of Family Medicine at the Indiana University School of Medicine and the founding director of the IU Center for Sports Medicine. “Sports medicine is now one of the more popular areas of medicine,” Doug says. One of his primary areas of research has been concussion, and he can take credit for some of the changes in how sports-related concussions are treated. Today Doug says he’s “trying to figure out how to retire,” and he’s focusing his attention on global health. He’s traveled to Haiti as one of the first responders to the devastating 2010 earthquake, and he’s gone on medical missions to Nepal, Honduras, and Kenya. Doug and his wife, Diane, live in Zionsville just north of Indianapolis and have three adult children. The inside of the abandoned Anheuser-Busch distribution center is warm and dark. 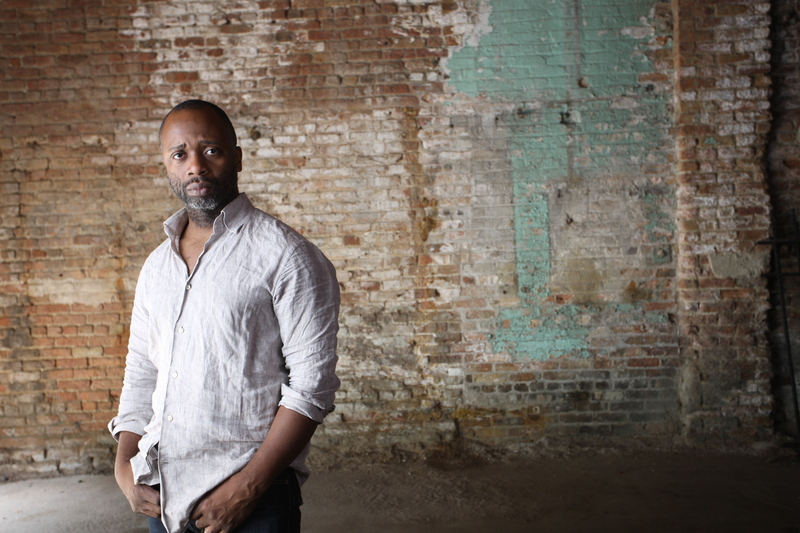 Theaster Gates struggles to lift one of the enormous garage doors a few inches to let in enough light to illuminate the exposed brick walls and hard-worn concrete floors. Built in 1907, this building is more than 100 years old. But it’s easy to visualize its potential: 25,000 square feet of artist’s studio and a collection of small neighborhood shops. This is the south side of Chicago, Theaster’s hometown. It’s here that he created the Dorchester Projects: buildings located on Dorchester Avenue and 69th Street set aside to celebrate the work of artists of color and to honor art as a function of its environment. The Projects started simply enough. In 2006 Theaster was looking for a home to buy, and he found one that looked like a good candidate for conversion to an artist’s live/work space. Three years later, his neighborhood deteriorating, he began to think he could transform the whole block. “As my ambition increased, my access to funding increased,” Theaster said. In addition to the Anheuser-Busch building, he’s working to transform 36 Chicago Housing Authority units into artist live/work spaces. Matt Dunker scraped together enough money to buy his first car when he was still too young to drive it. It was a red 1966 Ford Mustang. He was 15 years old. Cars have always been Matt’s passion. 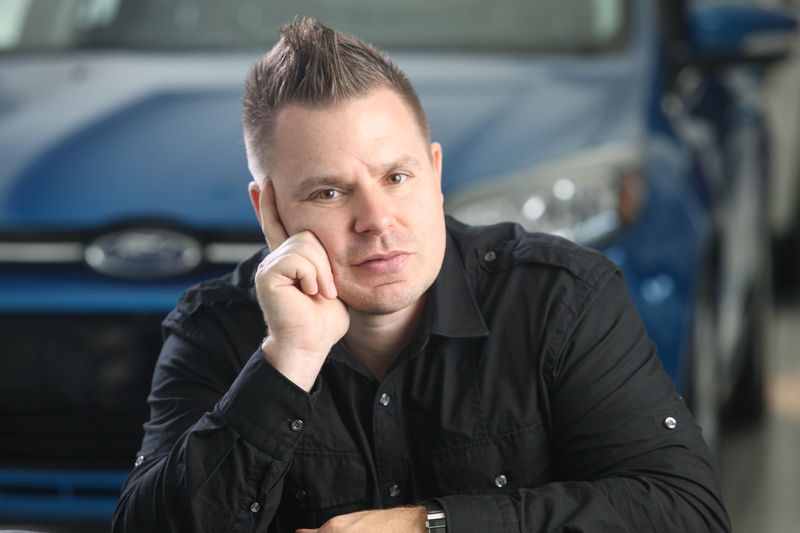 So it’s no surprise that Matt (’00 mechanical engineering) went to work for Ford Motor Company in Dearborn, Mich.
Matt works on select new car models, specifically focusing on turbo-charged engines for fuel economy and performance. Vehicle safety is also a big part of the design process, so he interfaces regularly with Ford’s safety team. His passion for cars has never diminished. His best-loved car was a 1988 Ford Thunderbird turbo coup (“the car that got me into turbo chargers”). He now drives a sporty little Mazda RX8. 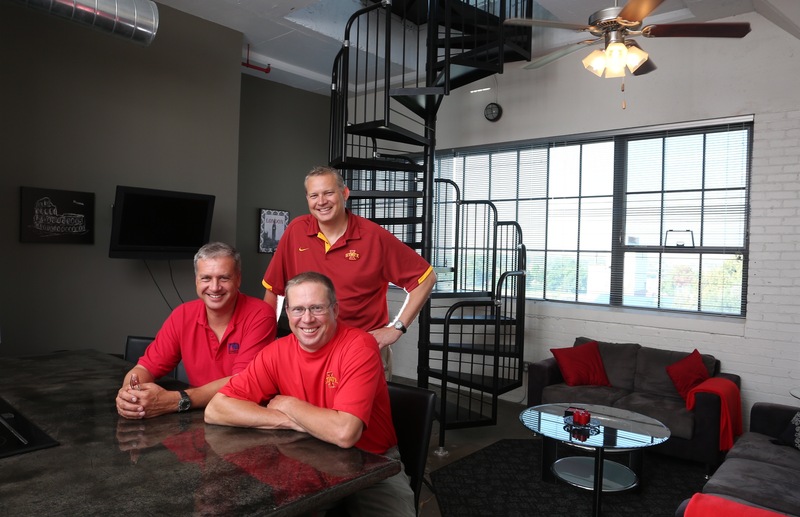 Steve, Shawn, and Scott Foutch saw a need for quality apartments in St. Joseph, Mo. And they saw a building they could purchase for next to nothing. With a $32 million renovation, the 455,000-square-foot Mitchell Park Plaza was created from the historic Big Chief Tablet factory: 258 luxury apartments with huge windows and balconies, an indoor swimming pool, recreation center, rooftop garden, convenience store, and coffee shop. Mitchell Park Plaza is just one of more than 20 buildings owned by Foutch Brothers in Missouri, Kansas, and Iowa – with more on the way. The company renovates historic schools, office buildings, and warehouses into apartment-style living spaces and other modern-day uses. But more than that, the brothers’ projects restore neighborhoods and invigorate communities. Steve (’88 architecture) and Scott (’86 farm operation & animal science) founded the company in 2004; Shawn joined them two years ago. The brothers, who grew up in Woodbine, Iowa, each brings his own skill set and area of expertise. The business has its headquarters in Kansas City, Mo., but they “go where the buildings are” – from Leavenworth, Kan., to Shelby, Iowa. “So many projects are coming at us now that we can be selective,” Steve says. Allison Foss’s parents instilled in her at a young age the importance of making a mark on her community. And at Iowa State she learned about making difference for those who need support. Those values have stayed with Allison in both her professional career and her personal life. Allison (’01 child, adult & family services) is a social worker and case manager for individuals with developmental disabilities in Johnson County, Kan. She works with children and adults with mental and physical disabilities, including cerebral palsy, Down syndrome, and autism. “I have a passion for working with the population of special needs. They very much want your help,” she says. Allison also helps coordinate the annual Greater Kansas City Myasthenia Gravis Walk, Run & Roll, a 5K run and walk to benefit the Myasthenia Gravis Association of Kansas City. Allison was diagnosed with Myasthenia Gravis, a rare form of muscular dystrophy, at the age of 5. She says the Kansas City event raises money and, perhaps more importantly, it also helps raise awareness of a disease that doesn’t get much media attention. “It’s not like breast cancer where everything turns pink for a month,” she says. 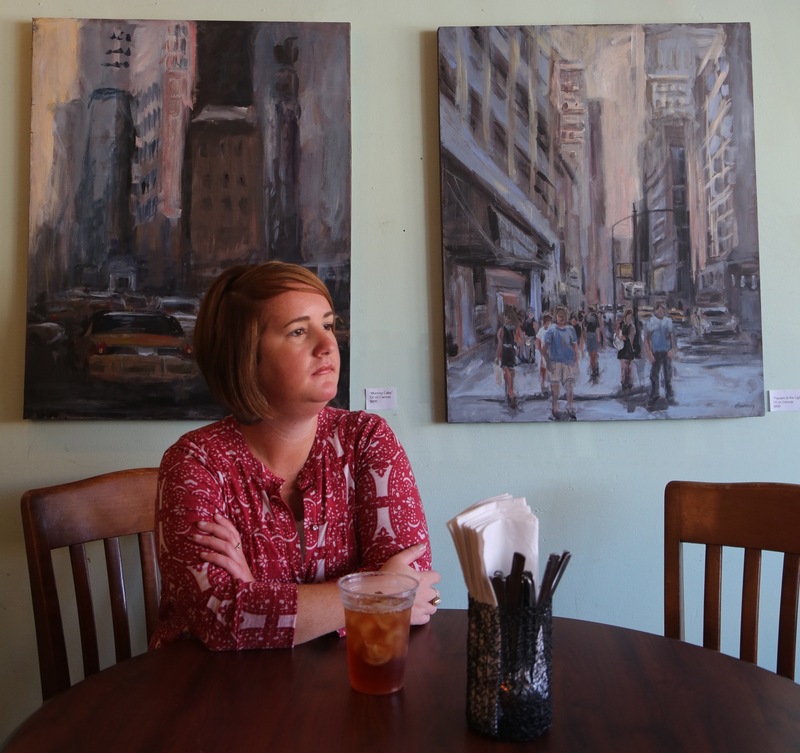 Allison lives in Overland Park, Kan., a community that she says feels like a small town within a big city. The Iowa State connections here, Allison says, make it fun to get involved with social events and philanthropy. Walter Bones is indebted to his family for allowing him to step away from full-time farming to briefly pursue another career: secretary of agriculture for the state of South Dakota. So Walt (’73 animal science) temporarily left the daily management of a livestock operation, custom cattle-feeding business, elevator company, and dairy in the capable hands of his brothers, brother-in-law, and nephews in Parker, S.D. He headed to the capital city of Pierre – and all points beyond. “I had the opportunity to travel across the state and see people in action,” he said of the two years he spent as secretary of agriculture (2011-2013). He worked with zoning issues, government rules and regulations, agricultural law, and the transition of farms from small to large – even managing fires and flooding. Walt was no stranger to public service. 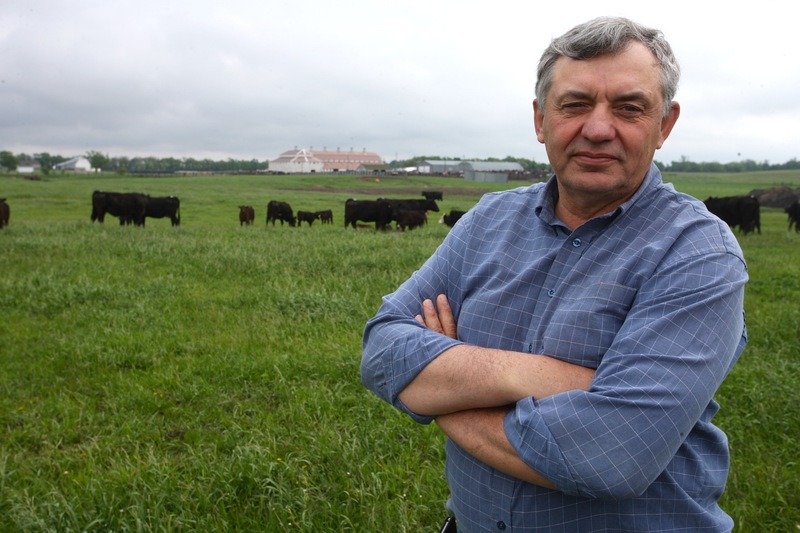 He’s been active with the National Corn Growers Association, the Midwest Dairy Association, South Dakota Hereford Association, South Dakota Cattlemen’s Association, South Dakota Farm Bureau, and other groups. Walt’s dad, an Iowa State graduate, served in the South Dakota State Senate while managing the family farm. “My mom and dad are great role models,” Walt said. “My family holds public service in high esteem.